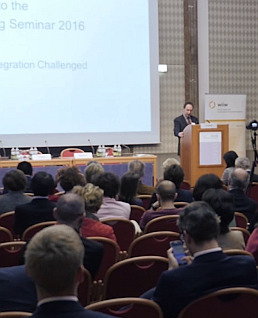 Here you can revisit all presentations and speeches held at 2016’s wiiw Spring Seminar on 7th April in Vienna. This year's Spring Seminar offered different perspectives on Europe's Integration challenges and on China’s Silk Road Strategy. Find below the full videos and all presentation slides in chronological order. Or you may use the playlist in our YouTube channel. Short summaries of the presentations can also be found here and here. All videos were produced by Rainer Tomassovits Film.